The Tempomandibular joint (TMJ) is the joint of the jaw. It is the point where your temporal bone (part of the skull) meets the mandible (your jaw bone). It is located immediately in front of your ears. This is an important joint which helps you carry out an array of daily functions, such as speaking and eating. TMJ injuries can severely impact or disrupt your life by interfering with these simple yet essential functions. TMJ injuries can severely alter your quality of life and introduce chronic pain if not properly tended to. If you notice any of these symptoms in yourself or a family member, as a result of a personal injury or accident, it is important to seek medical attention and consult one of our personal injury lawyers with extensive experience in navigating TMJ injury cases. It is important to first seek medical attention from a medical professional. Afterwards, it is important to gather as much evidence associated with your TMJ injury claim as soon as possible. Information like witness contact details, pictures of the accident and filing a police report, are some of the steps you should immediately take, following a TMJ injury. Our precedent-setting TMJ injury lawyers can help you build a case, perform all the necessary research and evidence gathering and can even help by paying medical disbursements during your case. If a family member or loved one has sustained a TMJ injury as a result of an accident, that renders them unable to communicate, please reach out to us on his behalf, in order to recover the necessary compensation that will provide the best long term care possible. In many cases, insurance companies will try to offer you a settlement right away. Usually, this type of early settlement dismisses most of the intricate details of a victim’s TMJ injury. The early settlement offered by the insurance company will often not take the full medical expenses and adjusted living expenses into account, leaving you to pay for them out of pocket. 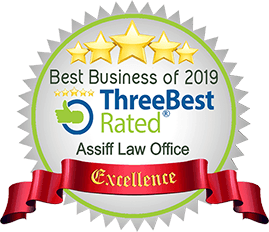 Our award-winning personal injury lawyers have over 20 years experience and will deal with the insurance company from day one, letting them know that you mean to seek proper compensation for your injuries as well as other compensations you may be entitled to.